I just wanted to let you know about something over here in my neck of the woods. Do you know green streets? 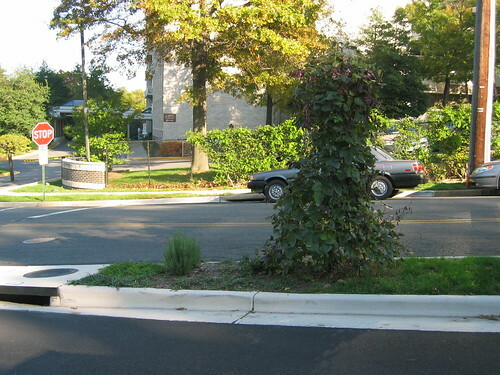 Those are the streets that have gardens and/or trees in a median. Well my neighborhood is actually against this plan and is now turning against Marty Golden, the one who wants this. More or less we got him elected. He's all alone on this project playing politics...A lot of people are using the term war against green streets. There is going to be a town hall tomorrow. Its a very large battle over a 1 mile stretch of land. A war against green streets? Should be an interesting meeting. It takes place today (2/13) at 7:00 pm at P.S. 277 at 2529 Gerritsen Avenue. The opposition was mainly about getting emergency vehicles down into the beach. If there was ever a flood, major snow or a evacuation the community would be screwed. The community didnt want to limit the Avenue to a single lane. Golden saw that and stopped the project.